The honey locust (Gleditsia triacanthos), also called the common honey locust is a medium-sized, quickly growing deciduous tree with bright to deep green leaves 6 to 8 inches long and 1 to 4 1/2 inches wide. Those leaves turn yellow in the fall. The honey locust has an open, spreading canopy and a root system adaptable to a variety of environments. 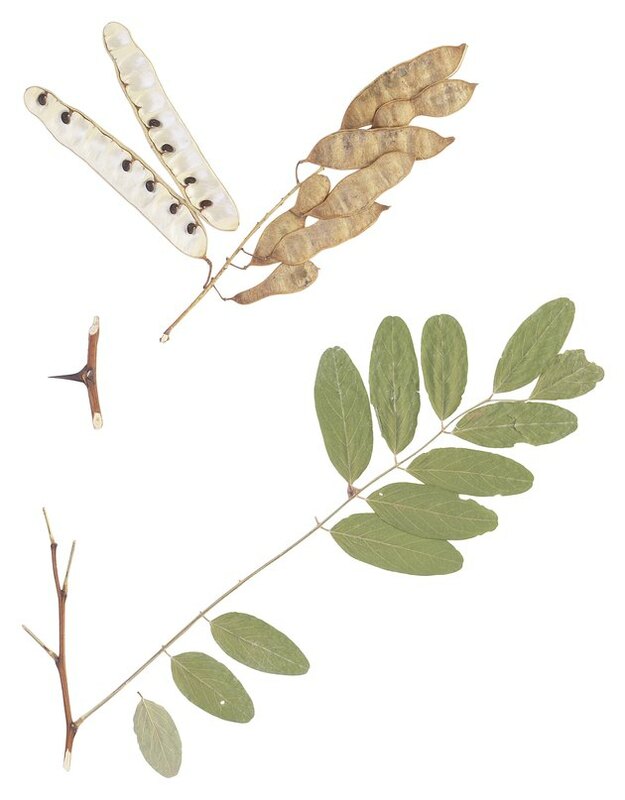 The honey locust has pinnately compounded leaves and sugar-producing pods. All trees share certain root characteristics. 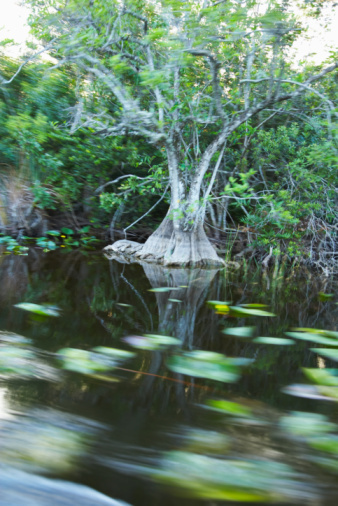 Tree root systems, in their most basic form, are composed of a few large, permanent roots -- which provide anchorage and transportation of water and nutrients -- and smaller, temporary feeder roots and root hairs. These feeder roots provide the primary means of absorbing water and nutrients, which are mostly near the soil surface. These smaller roots serve this purpose for one or two years, after which they die or become integrated into the larger roots. Some scientists classify the honey locust root system as a heart root system, while others classify it as a tap root system. This is understandable, as this tree's roots have characteristics of both. Honey locusts have strong, deep taproots that extend as far as 20 feet down as opposed to most trees, which only extend 3 to 7 feet beneath the surface However, unlike the classic tap root system, honey locust trees also have profusely branching roots, as is characteristic of heart root systems. While honey locust roots may be somewhere in between classic tap root and heart root systems, they do not have flat root systems. Flat root systems are almost entirely near the surface. 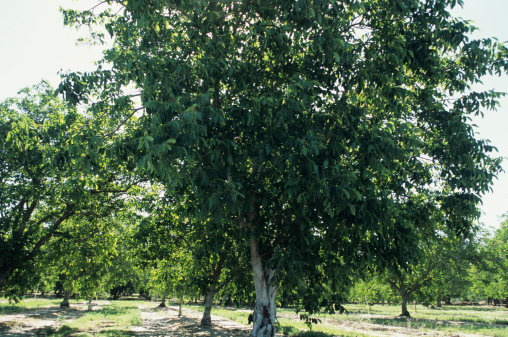 This can create problems for the tree's stability during wind storms and during events that disturb the soil. 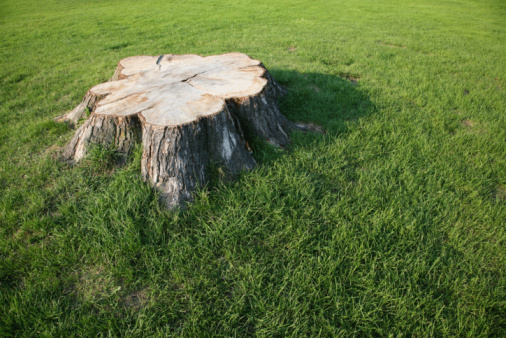 Shallow roots also create yard maintenance issues, as they can not be mowed or planted over. Common trees with flat roots include the silver and sugar maples, birch, cottonwood, fir, spruce and hackberry. Tree roots need the proper environment to flourish. Honey locust roots are adaptable to a wide range of soils, including alkaline and salty soils. However, they do best in rich, moist bottom lands. Other factors that can influence root development include the soil's depth and temperature, as well as the availability of water, minerals, oxygen and mycorrhizae fungi. These fungi invade tree root systems, but -- unlike many other types of fungi -- create a symbiotic relationship. The mycorrhizae network increases the tree's mineral and water uptake, while the tree provides carbohydrates to the fungi.